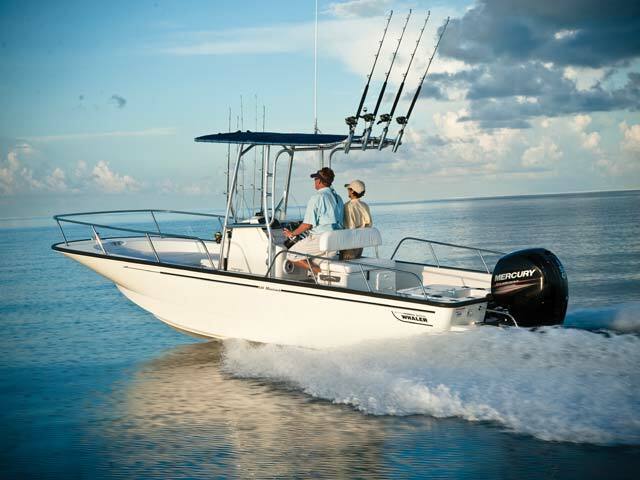 Chase the horizon. 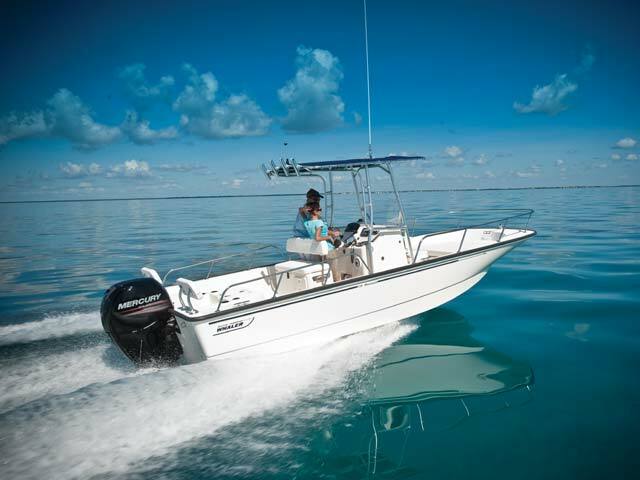 The Boston Whaler 210 Montauk delivers major functionality and unsinkable reliability for every outing. 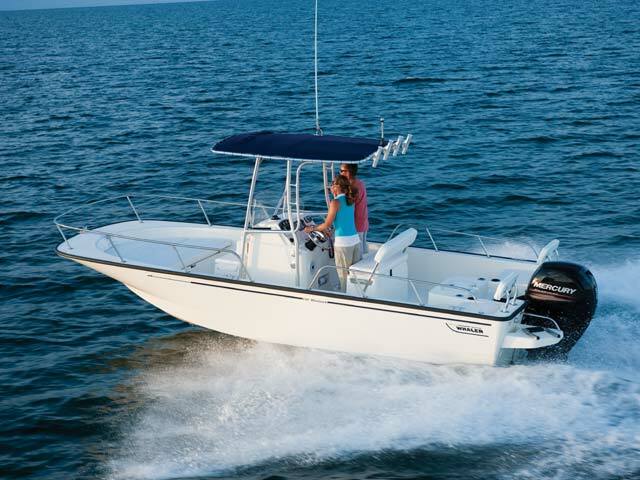 Its standard boat-motor-trailer package includes a 150-hp FourStroke Mercury engine, allowing you to go farther and stay out longer. 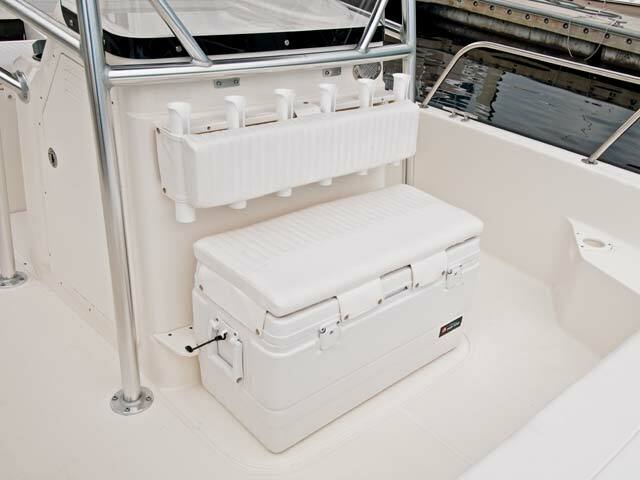 The roomy center console layout includes an expansive forward deck with a large fishbox, an anchor locker and a convertible cooler seat. 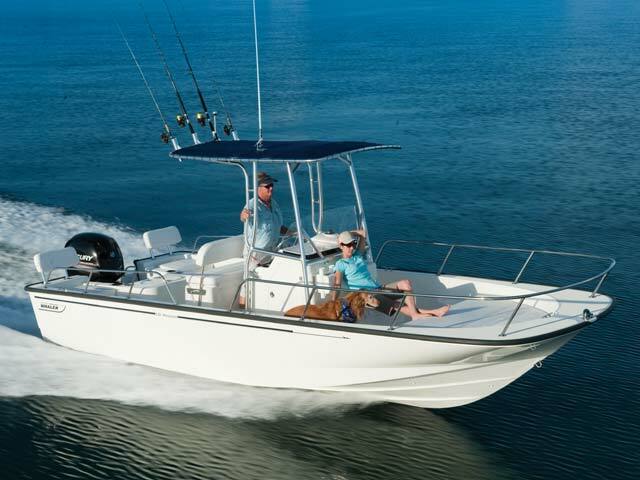 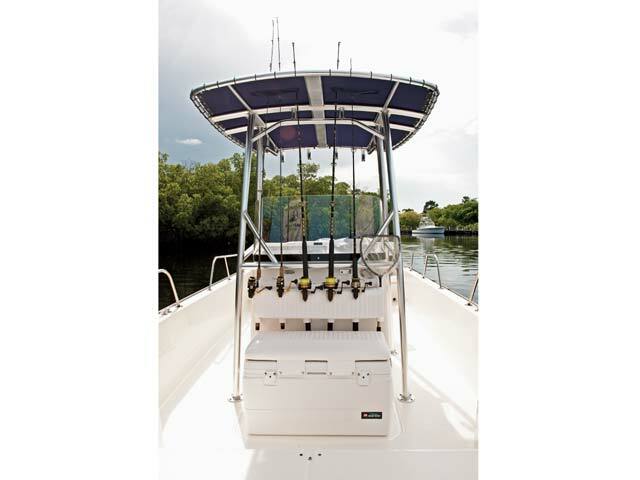 Anglers will appreciate the ample workspace, four standard rod holders and optional aft livewell that make the Montauk an excellent sport fishing boat. 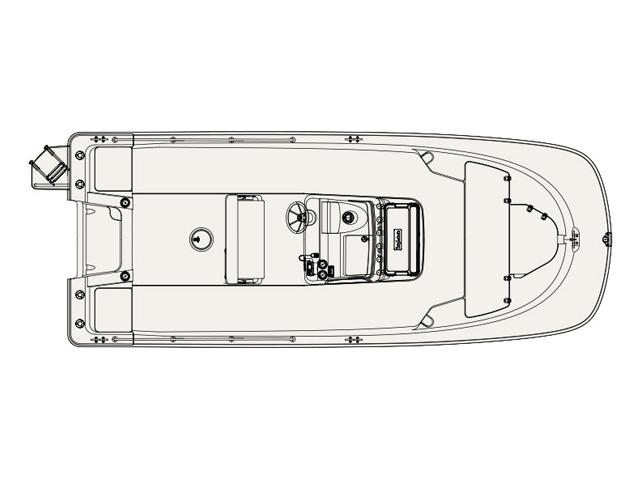 The 210 also delivers huge comfort, with an innovative sun lounge and aft seating options. 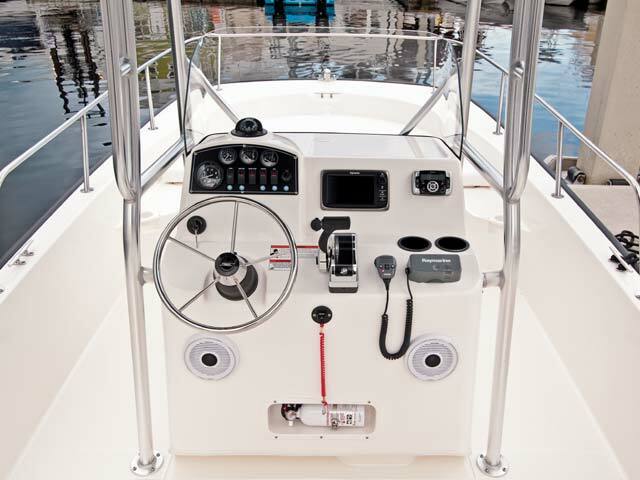 The optional T-top, portable head, ski tow arch and split bow rail make the Montauk perfect for every boating opportunity.